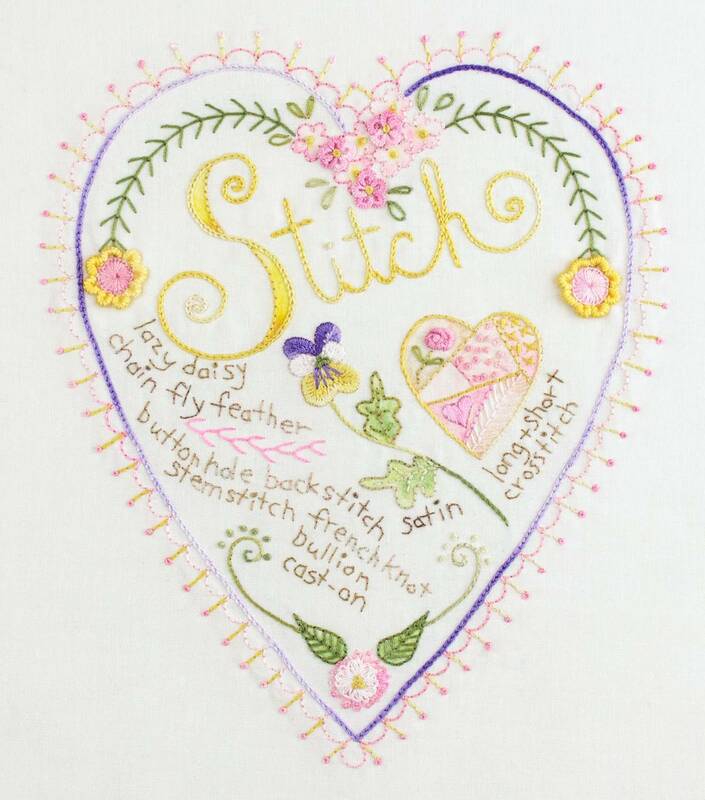 What a pretty way to learn more than 14 stitches and have a sampler to refer to handy! It even has a tiny bit of crayon tinting thrown in for good measure! 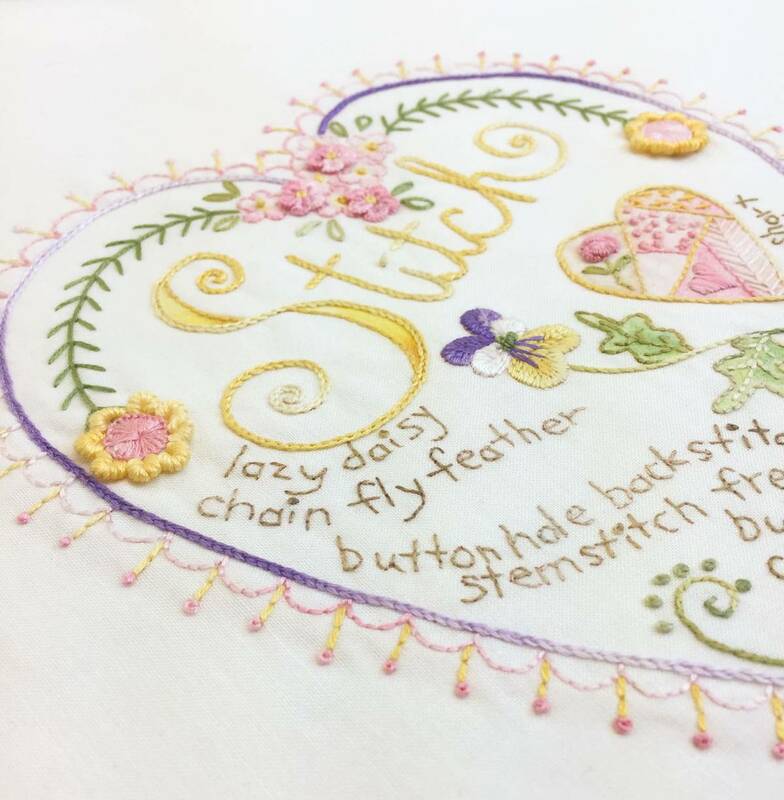 So sweet and SO fun! Size 1 Milliners needles recommended for creating the bullion stitch.